This graphic tee is great for every member of the team, from the coaches to the players' family members. Who doesn't enjoy volleyball? Show your support by wearing this at the tournament, mall, beach or where ever you go. The front has the beach ball logo and the statement of "Enjoy Volleyball" in white. On the back, it has the statement of "the Real Thing!" in white. 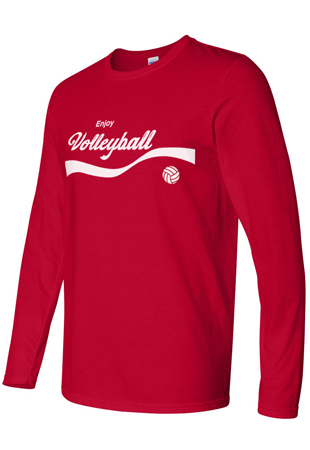 Get this awesome tee for your volleyball player and one for yourself. 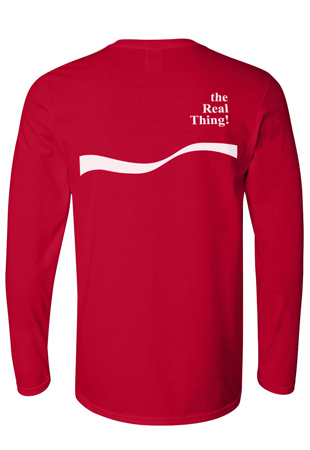 The tee only comes in the color red. CARE: Machine wash cold. Only non-chlorine bleach when needed. Tumble dry low. Do not iron. Do not dry clean.